Another first from Boostwerks Engineering! I scoured the web looking for a universal switch panel that wasn't simply a flat panel, or a piece of cheap plastic yet I couldn't find anything that fit my needs. So... I decided to make them! 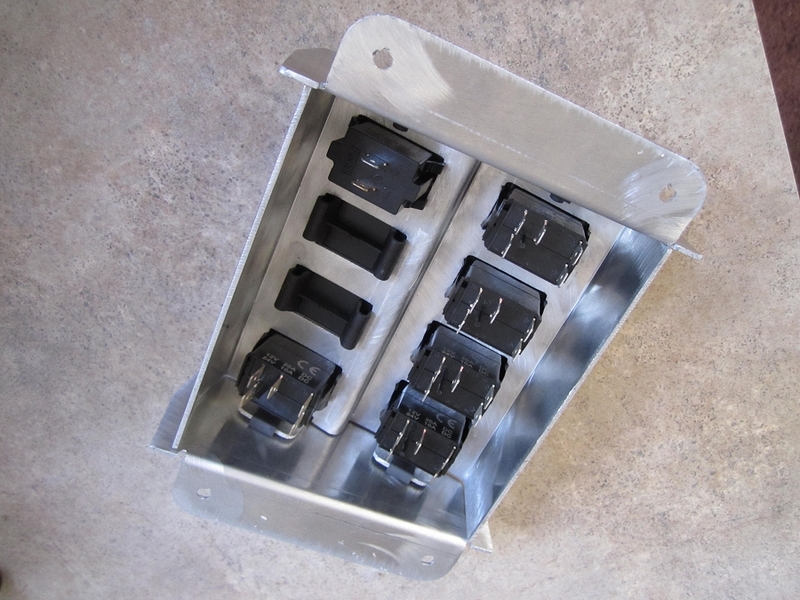 This mount can hold 8 Carling style switches (not included) and allows them to be mounted almost anywhere! The panel angles the switches 20 degrees either up or down to account for angled mounting surfaces. 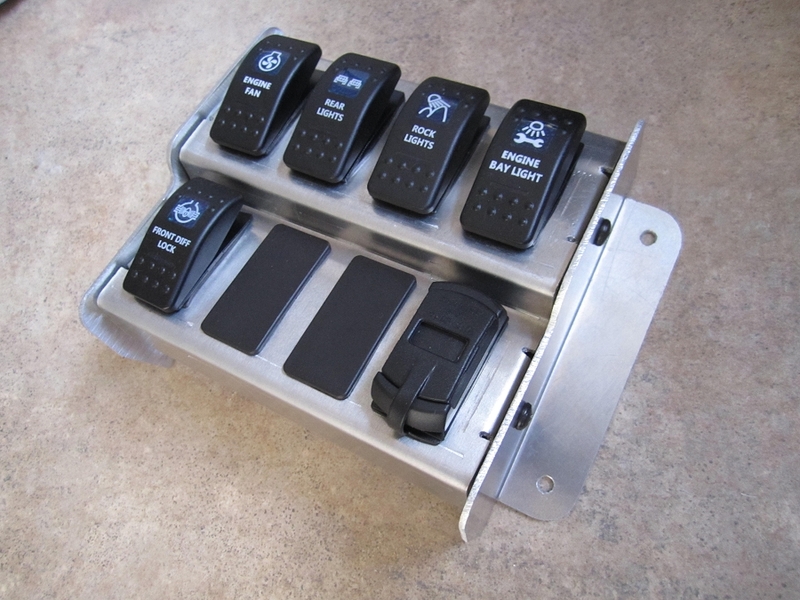 This makes the mount perfect for overhead or dash mounted applications. The back of the mount is deep enough to keep the wiring nice and neat, without taking up excessive space. The switches will need to be wired directly on flat surface applications however, as the mount is too shallow for the common female plugs. 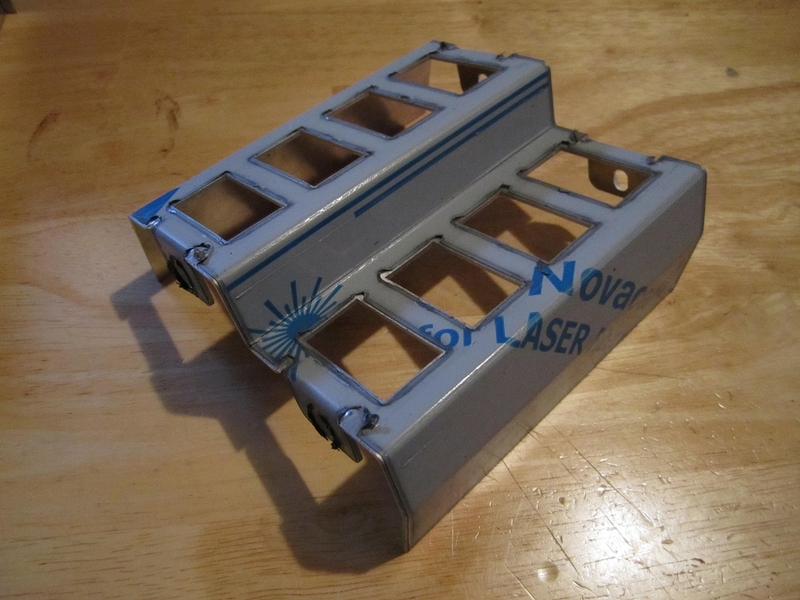 The mounts are shipped bare aluminum with a layer of protective plastic to prevent scratching. We have left this on the parts to reduce the end cost to the consumer, as well as reduce the chance for scratches during shipping. 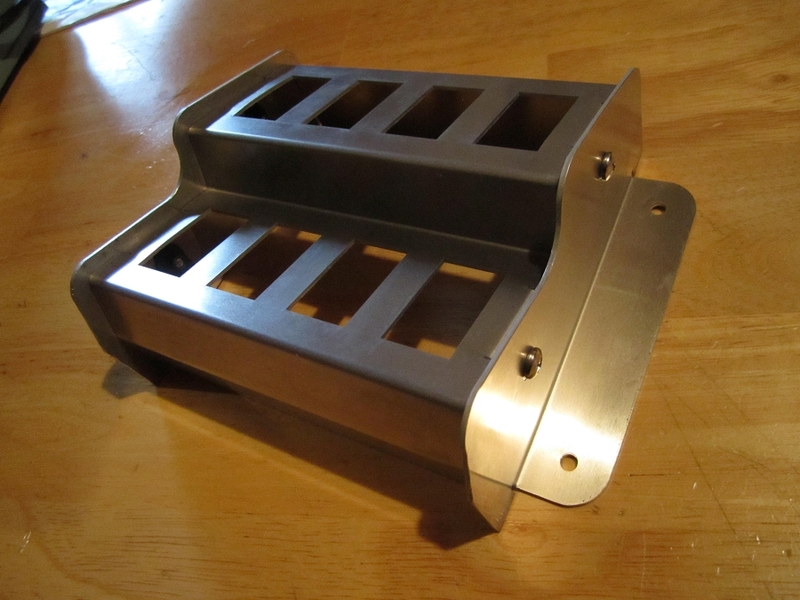 Laser Cut Aluminum : Cut from 5052 14ga Aluminum, the mount provides a strong base to mount your switches. Easy Assembly and Disassembly : Assembles with just a simple philips head screw driver, and easily disassembles for wiring or switch changes.